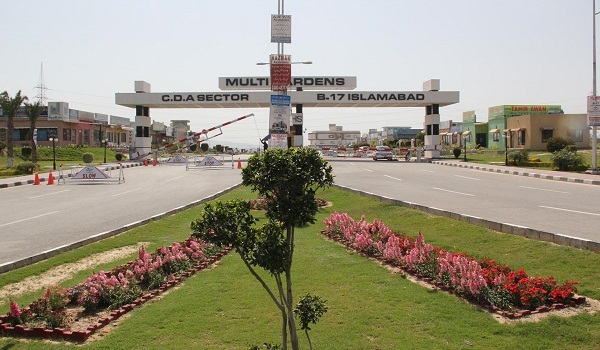 Multi-Professional Cooperative Housing Society’s Multi-Gardens, B-17, is unequivocally one of the top real estate projects in Islamabad. 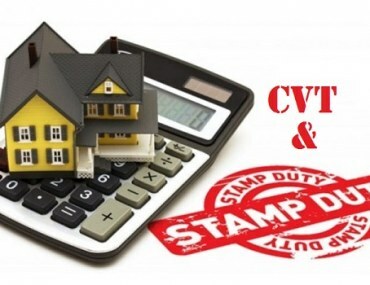 As per several of the experts interviewed for this blog, it is one of the few projects in the federal capital that boasts the prised ‘investing duo’ of sustained market activity and rising prices. The previous year was a good one for the housing project, and if current trends are to be believed, it is set to continue dominating the market. The fact that there are additional number of real estate investors in the market looking for alternate investment opportunities can also bode well for Mult-Gardens B-17. According to Malik Fayyaz of Noor Associates, the effects of dull market in the rest of the city have been seen in Multi-Gardens. The burgeoning market has slowed down to a more moderate activity. 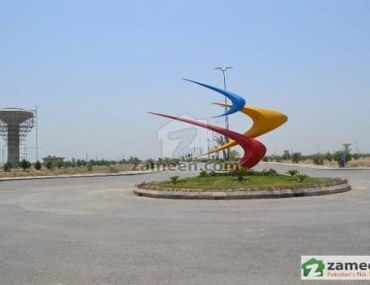 However, as previously mentioned, it remains one of the top options within the federal capital and will compete with housing projects in any of the other cities. The prices, according to Ch. Farrukh of Benchmark Realty, have been on the rise in the past few months as well and a few hundred thousand have been added to prices of plots in almost all the blocks, except Block G, where the rise has not been as prominent. At the time of our previous update on MPCHS Multi-Garden, the expectation was that the balloting for Block G will be held after the second instalment – as is usually the case with MPCHS projects. The second instalment has passed. He latest from the housing project, according to Farrukh is that the balloting will be held in mid-march. According to Farrukh, the development is nearing completion in Block F. Possession is available in large portion as well. Construction of a large number of houses has begun as well. Meanwhile, the issues in the unacquired section of Block D continue. However, according to Farrukh, work is being done to acquire the land as soon as possible. Are you interested in buying a plot in MPCHS Multi Garden, B-17? Do you have any questions or concerns? You can discuss them with us in the comments section. You can also head to the Zameen Forum for a detailed conversation. Some of the information in this blog has been sourced from Ch. Farrukh of Benchmark Realty, who can be reached at +92 3225030511 for further consultation. I AM OVERSEAS PAKISTANI LIVING IN KSA-MAKKAH, I HAVE PLOTS IN B17, F BLOCK. I WANT TO PAY INSTALLMENTS TO B-17, CAN I PAY ONLINE THESE INSTALLMENT? You will have to confirm these with the society administration. The best way is to make the pay orders in Favour of MPCHS and pay in hand to the society office. Keep the photocopies of the pay orders and the receipts that the society will hand over to you. Unfortunately, society has not the computerised or the e-systems in place. So in future, you will not have to hassle once you will be selling the plot. Thank you for the information, sir! Thanks for the valuable and updated information on B-17. I just want to know about the REAL progress of land acquisition in D block of MPCHS. Is there something really happening in Block D or just a routine statement that work is in progress and land will be acquired in next four to six months ? Besides, Also want to know that the map Zameen.com is showing for block D is updated or there is some other updated map of block D ?